Horses and ponies come in all shapes, colours, and sizes. We have some wonderful native equine breeds here in the UK. One of the best ways of getting to appreciate these is to visit County agricultural shows. You’ll see everything from Little Shetland ponies through to awe-inspiring heavy horses, and everything in between. Make sure you take your camera for a spot of recreational horse photography. On this occasion I was enjoying a non-work outing in West Sussex. In the days when I owned horses I had a Connemara. He was typical of the breed in so many ways, with a steel grey coat and white mane and tail. He was bold, intelligent, and good-natured. He could also be incredibly wilful. But I always felt safe on him, and he was beautiful to look at. I always enjoy watching the mountain and moorland breeds at our local horse shows for that reason. Due to riding injuries in my late teens I’m now firmly on the sidelines, living vicariously through my photography. My Connemara was called Minstrel, he and I certainly had some adventures together. To this day I can remember every facet of his personality. I’m going back 37 years but his character was pretty special. Well, quirky is perhaps a better word. Minstrel was as sure footed as a mountain goat but he utterly refused to get his feet wet. A hack on a rainy day often came to an abrupt hiatus when we encountered a large puddle spanning the road. The only way round it would involve me dismounting and going first (this was in direct contrast to my Arab Welsh cross who would happily wallow knee deep in mud). Nor would Minstrel easily enter a horse box. Well he would, on the way there. But oddly the return journey often left us trying to box him well into darkness, and on occasion we would give up entirely. He also rated himself in the looks department (understandably). A ride up the high street in my village would include several pauses whilst he admired his reflection in shop windows. He was a pain at times, but I loved him regardless. My last horse was an Arab crossed with a Welsh Cob, and what a fantastic cross that is. Strong and hardy with the combined beauty of both breeds, but with slightly finer bones than the Welsh Cob. He reached 15/3 hands by the time he was sold. 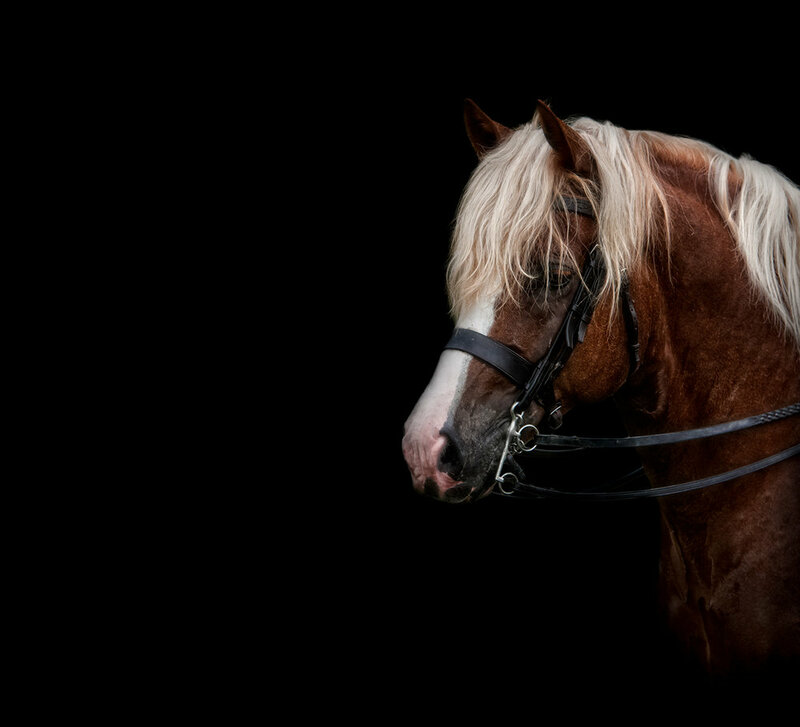 Another of my favourite breeds is the Welsh Pony (a gorgeous example is shown below). You really can’t go wrong with one of these, they are so versatile. And incredibly pretty. They come in different ‘standards’ according to their size.